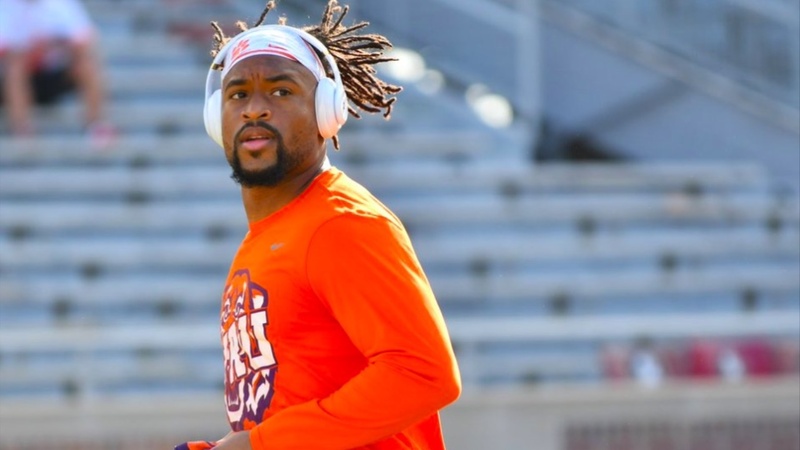 Clemson’s return from spring break was met with some tough news as wideout Amari Rodgers was carted off of the field Monday with a leg injury. Moments ago, it was confirmed that Rodgers has a torn ACL and will miss significant time with the team. Rodgers had a team-high-tying six receptions for 26 yards vs. Notre Dame in the Cotton Bowl and tallied 30 yards on two receptions in National Championship Game against Alabama. Earlier in the season, Rodgers biggest performance came in Tallahassee against Florida St., when he earned co-offensive player of the game honors after posting career highs in receiving yards (156) and receiving touchdowns (two) on six receptions. Clemson’s impressive freshmen wideouts will be counted on even more now in the absence of Rodgers.